It previously took 35,000 litres of oil a year to heat the Grade 1 listed mansion house and restaurant at National Trust’s Wimpole Estate, but newly installed renewable heat pump technology has taken this figure down to 0. The heat pump uses around one third of the energy needed by the previous oil boilers, and has reduced carbon emissions by 47 tonnes per year as well as saving over £8,000 a year in fuel costs. 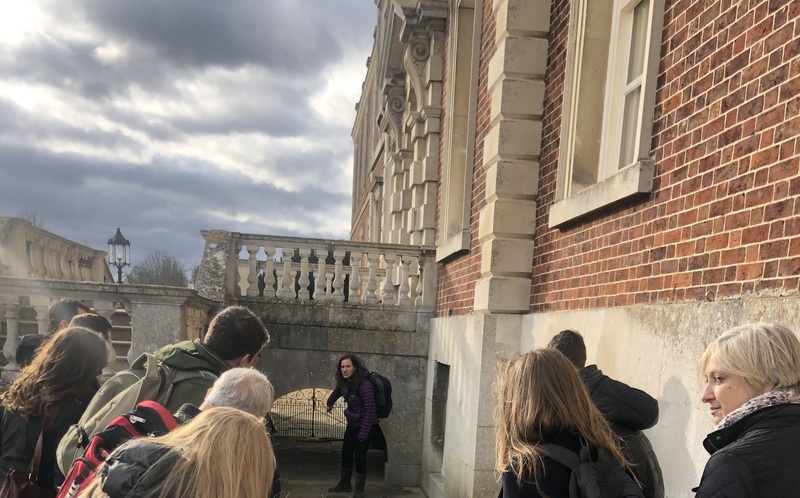 Fit for the Future practitioners from Guide Dogs, RSPB, Historic England, English Heritage, Diocese of Ely and National Trust headed to Wimpole to find out about the installation and related successes and challenges first hand. This week we have experienced some of the highest winter temperatures ever recorded in the UK, with record temperatures for February broken twice and a high of 21.2C at Kew Gardens on Tuesday. The Met Office announced on Twitter that they would be doing an attribution study to ascertain how the temperatures were affected by climate change, and went on to point out that a Met Office analysis in 2014 already showed that, “since 2000, there had been 10 times as many high temperature records broken as cold temperature ones”. This May, Fit for the Future will team up with the Met Office and RSPB to bring the charities, heritage organisations and others in our membership the latest insight into how the UK climate is projected to change, how it might affect them, and how they can put a strategy in place to adapt and build resilience. The Climate Coalition’s 'Show the Love 2019' is now in full swing, with hundreds of thousands of people across the UK showing their love for the things they want to protect from climate change. Fit for the Future has been in the business of environmental matchmaking for six years now, and during this time we’ve brought together hundreds of sustainability professionals from diverse organisations. Whether they are working for the love of wildlife, education, historic buildings, art, mountains, canals- our members have one important thing in common: they know that climate change poses a significant threat to what they do and want to do something about it. Representatives from Field Studies Council, Manchester University and National Trust got together in Manchester last week to discuss behaviour change and gain insight into two diverse projects. We share some of our key takeaways from the day. Behaviour change, often behind the scenes when it comes to saving energy and reducing environmental impacts, has the potential to create a more value-led shift in how organisations operate from the bottom-up. The question is, how do we approach this notoriously challenging area effectively? In true Fit for the Future style, we advocate learning from those who’ve already got it right. 2018 was a busy year for Fit for the Future, and we'd like to thank all our members and supporters for making it a successful one too. Hundreds of practitioners have been linked up to share knowledge and to get projects off the ground in order to become climate-friendly, adaptive and resilient organisations. We identified lots of opportunities to do even more for our members and build on what we offer in 2019. We'd like to take this opportunity to share some of our plans, and to wish you all a very Happy New Year. Let's forge ahead in 2019 and harness the power of people and practical solutions to achieve vital positive change. 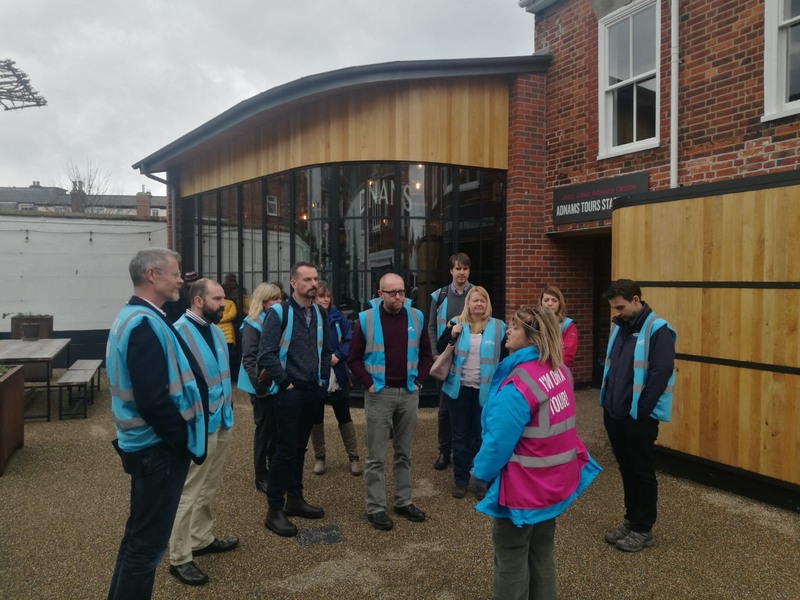 Last week, Fit for the Future members took a behind-the-scenes tour of Adnams brewery in Southwold. We were given insight into their four-pillar sustainability model, and a look at how innovative and practical projects covering areas as diverse as beer production, bottles, bees and biodiversity have been implemented.